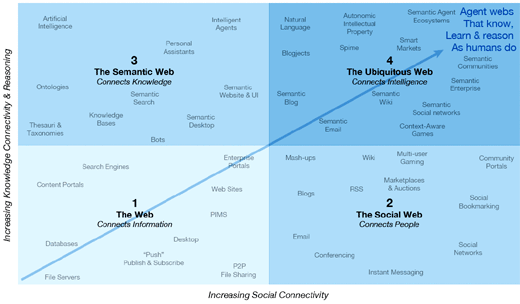 Throughout 2009 you’ll probably hear a lot of talk about the semantic web, aka “Web 3.0”. The semantic wave embraces previous stages of internet growth. 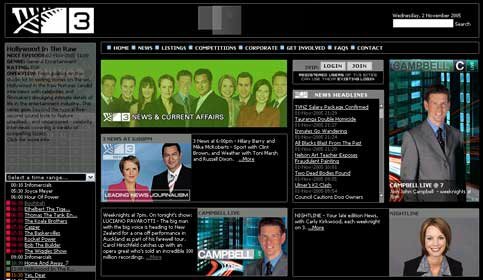 The first stage, Web 1.0, was about connecting information and getting on the net. 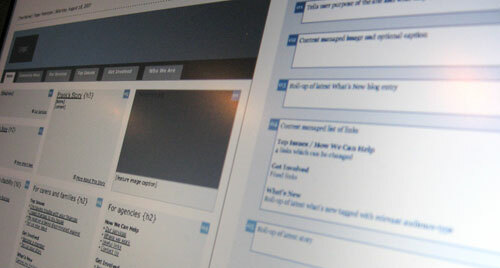 Web 2.0 is about connecting people – the web of social networks and participation. This was all the rage over the past few years and is now part of mainstream internet culture. The emerging stage, Web 3.0, is starting now. It is about connecting knowledge, and putting these to work in ways that make our experience of the internet more relevant, useful, and enjoyable. Google have recently starting making the power of this technology available. Web 4.0 will come later. It is about connecting people and things (internet-enabled objects) so they reason and communicate together. The core idea behind the semantic web, is a web where “things” (like a JPG image, for example) can be read and understood by computers. If you dig around Flickr you’ll see evidence of this already in action. 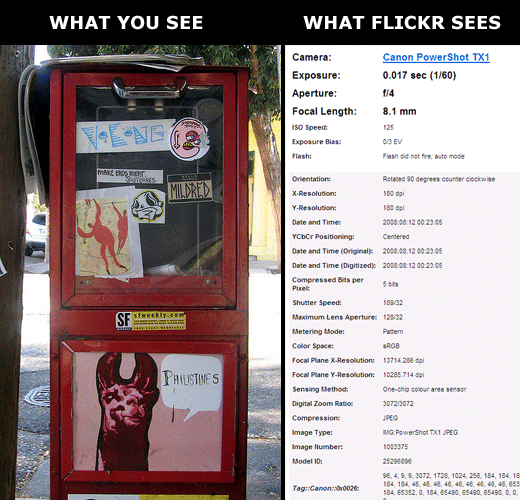 If you have a modern digital camera it’s not only capturing the visual image. Almost all new digital cameras save JPEG (jpg) files with EXIF (Exchangeable Image File) data. Camera settings and scene information are recorded by the camera into the image file. Examples of stored information are shutter speed, date and time, focal length, exposure compensation, metering pattern and if a flash was used. Visit my Flickr account to see the huge range of EXIF data captured when I took this photo on a visit to San Francisco last year. Using this comprehensive set of data Flickr allows you to look at all other photos taken with the same type of camera as mine plus photos taken by other people on the same day. If my camera was GPS enabled then they could also display photos taken on the same street! By using publicly available data like this the semantic web can better understand our search queries and how people, objects and information are linked with each other. It opens up a new world of possibilities. To learn more about semantic technology opportunities the Project10X web site has a heady, but interesting whitepaper on the topic. Provoke has some exciting projects on the horizon and I’m keen to hear from (or about) any fantabulous e-commerce gurus out there (freelancers or full-timers). You might be the sort of person who could lead the research, strategy, requirements and information architecture of a large e-commerce and dynamic data-driven web site. Next post Where’s Your Suite Spot?